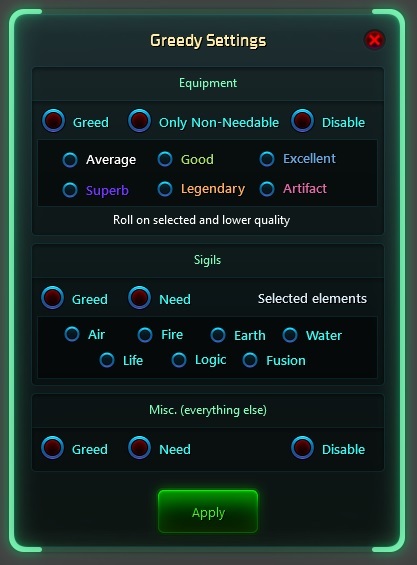 This add-on automatically rolls need/greed on item drops you specify in the Settings menu (/greedy or in the ESC-Menu). If something drops during combat, you won't get distracted with loot pop-ups. Especially helps with loot drops you can't roll need on anyway. If you like the add-on, send me a copper.